SportJobz is a marketplace of athletes and recruiting sport teams. while providing teams with pool of available and interested athletes they never would have access to otherwise. -SportJobz already reached to 3,500 athletes from over 97 countries and growing. -Hundreds of teams joined SportJobz in recent months and have held thousands of conversations with athletes at other ends of the world. Limud Naim is the leading marketplace for private teachers in Israel, with more than 8,000 tutor profiles nationwide. Our website allows individuals from Israel to easily search for recommended tutors in their desired field based on location. Each tutor has a detailed profile describing their qualifications, expertise and experience, along with ratings and feedback from other student users. Our vision is to optimize the ability for students and tutors to connect in a mutually beneficial way, relying on constant user feedback, in order to streamline the process and find the best teacher-student match possible. Loox is a visual reviews solution for online fashion stores. Loox helps retailers sell more and reduce returns by collecting customer photos and leveraging them to build shopper confidence around size & fit. Say2eat develops an NLP (Natural Language Processing) and AI powered SaaS, which allows businesses to provide their customers with constantly learning, personalized and seamless service for food delivery and groceries ordering. PicShareApp is the first platform designed for real-time photo sharing by professional photographers. Whether in WhatsApp groups, via hashtag, or on Facebook, we're all sharing photos as they’re taken; the only people left out are actual photographers. PicShareApp has created a solution for including professional .photographers in social sharing by providing a platform for instantaneous photo uploads. Once uploaded, photos can be accessed by code, link, or search, depending on the host and/or photographer’s preference, and will be watermarked with the event and photographer. Above all, PicShareApp was created to harness the great power of marketing via social networks, matching the power of online sharing and tangible experiences. Bossee is a platform, app, and solution for business travelers all over the world. The concept of Bossee is to fulfill travel experiences by emphasizing on both personal and entertainment needs. Time is often found as an insufficient and consuming element within the business world, which is why Bossee has developed specific concepts that will accommodate and fit directly to an individuals personal interests. We are unique in how we manage peoples schedules with our services by providing an easy-to-make agenda as well as ensuring on-time arrival to any further business functions. Bossee is the key to maintaining business in the company of luxury. MyTreat is an innovative B2B gifting Company. Our Plugin, GiftWizard, Combines personalized data analysis, automatic solutions and beautiful design to create the perfect Gifting Experience for Online Shoppers. GiftWIzard takes care of every aspect of the gifting process for the online stores and helps them meet their customers’ needs. It provides all the benefits of having a gifting option in the online store without any of the headache. 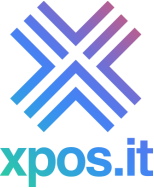 xpos.it is a cutting-edge, design-driven open-source CMS that uses a real-time visual environment instead of writing code, right out of the box, opening endless possibilities for web designers and developers while not compromising on content management, a truly flexible CMS.